The Negotiator by Gershon Baskin offers a behind the scenes look at the negotiations that brought Israel's soldier home from Hamas captivity. On June 25, 2006, Palestinian terrorists made their way through a tunnel from the Gaza Strip and attacked an IDF post near the border. Two Israeli soldiers were killed and another two were wounded; two of the Palestinians were also killed. Gilad Shalit*, lightly injured in the attack, was dragged back into Gaza through the tunnel. 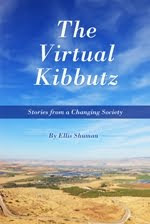 This scenario sounds eerily familiar, after the recent attempts by Hamas terrorists to penetrate into Israel and strike at army posts and kibbutzim, actions which led to the loss of several Israeli lives. During Operation Protective Edge, it was believed Hamas was striving to achieve a "quality" attack, in which they could kidnap Israeli soldiers for use as future bargaining chips. When Gilad was captured, Dr. Gershon Baskin, founder of an Israeli-Palestinian think tank and veteran of peace process talks, immediately launched informal talks with Hamas officials. In particular, Baskin communicated with Ghazi Hamad - initially the spokesperson for the Hamas government and its prime minister, Ismail Haniyeh. With Israel and Hamas refusing to openly negotiate with each other, the two believed that they could help compose the principles that would lead to a prisoner exchange between the sides. The success of this secret back channel, Baskin explains, was due to "the trust that had developed between Ghazi Hamad and myself, based on hundreds of hours of communications focused on the prisoner exchange." The Negotiator (The Toby Press, November 2013) relates the story of the informal communications between Baskin and his Palestinian counterpart, as well as with others involved in efforts to bring Gilad Shalit home. Lacking an official appointment and the ability to deal with Hamad on a face to face basis, Baskin's efforts are detailed as an account of "emails, text messages, faxes, and notes during five years of continuous activity." Gilad's captivity touched an entire nation. With an encampment of family members and supporters outside the prime minister's Jerusalem residence, and yellow ribbons tied to car antennas, there was "no doubt that the hearts and minds of every Israeli family were with the Shalits." 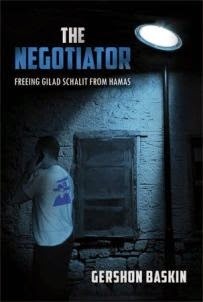 The framework of the deal that would even eventually bring Gilad home was already known a few months after his capture. "Why Gilad Shalit had to spend nearly five more years in captivity, not to mention the 1,027 Palestinian prisoners who got their freedom in exchange, is a troublesome question that only Hamas and the Israeli leadership can answer in full," Baskin states. Baskin blames both Israel and Hamas for the stalemate that delayed the exchange, but it seems that most of the blame falls on Israel's leaders. "Israel's government ministers and security officials continued telling the public and the Shalit family that they were leaving no stone unturned to bring Gilad home. As I heard their statements, all I could think was: lies, lies, lies." Yet, Baskin was pleasantly surprised by Prime Minister Netanyahu's willingness to cross his predecessor's 'red lines' and make the deal, one that was acceptable for Israel's security as judged at the time. "Very few people know of your role and contribution to advancing the deal," Netanyahu wrote Baskin, in a short note after Gilad's release. "In the name of the government of Israel, and in my name, I thank you for the time and effort you devoted to this important cause." 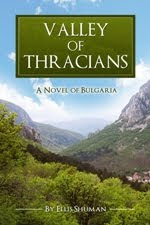 Baskin's tale, as described in the text messages and emails included in The Negotiator, is one "full of hope and intrigue, of passionate dedication to a mission, and of the naïve, wildly optimistic belief that one citizen can make a difference." Gershon Baskin, Ph.D., is the Israeli Co-Director and founder of the Israel/Palestine Center for Research and Information (IPCRI) - a joint Israeli-Palestinian public policy think and “do”-tank located in Jerusalem. He is currently the Co-Chairman of IPCRI's Board of Directors. Previously he served as an advisor on the Israeli-Palestinian peace process. Baskin is a member of the steering committee of the Palestinian-Israeli Peace NGO Forum as well as a member of the Israeli Council for Peace and Security. *Shalit is the common spelling of Gilad's last name. The spelling used throughout The Negotiator is Schalit. Buy The Negotiator and read it now! Thanks for the interesting review. Keeping you and your family and all of Israel in my prayers for peace. The Very Real Question Asked in "The Lie"